Anheuser-Busch InBev today said it planned to make a number of changes to its board of directors, including the appointment of former Altria CEO Martin Barrington as chairman and the addition of three more female board members. The changes are subject to shareholder approval and expected to become official on April 24, following the company’s annual shareholder meeting. 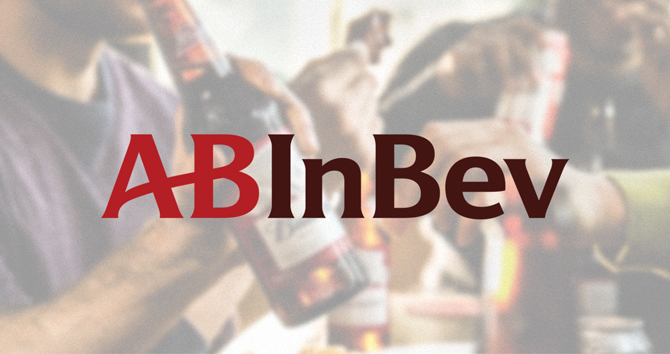 “I’m honored to be considered by the A-B InBev board of directors as the company’s next chairperson,” Barrington said via a press release. Barrington, who has served on A-B InBev’s board since 2016 and is currently a member of the audit committee, will supplant outgoing chair Olivier Goudet. Earlier this month, Goudet, the current CEO of JAB Holding Company — which owns Keurig Dr Pepper, Peet’s Coffee, and other food and beverage companies — announced plans to resign from the board amid mounting pressure from investors who had expressed concerns over a potential conflict of interest. According to Reuters, JAB plans to take those companies public within the next two to three years. Meanwhile, current board members Alexandre Behring, Carlos Alberto Sicupira and Stéfan Descheemaeker, all representatives of main A-B InBev shareholders, will also depart. Behring and Sicupira are the co-founders and managing partners of 3G Capital, the global investment firm best known for its acquisitions of Burger King and Kraft Heinz. Descheemaeker is the CEO of Nomad Foods, the largest frozen food company in Europe. In their place, A-B InBev’s controlling shareholders have proposed that Claudio Garcia, Sabine Chalmers and Cecilia Sicupira be named to the board. Garcia most recently served as A-B InBev’s chief people officer, but he has served in various positions with the company, and its predecessor organizations, since 1991. Ms. Chalmers, who is currently the general counsel for BT Group, a multinational telecommunications company, served as A-B InBev’s chief legal and corporate affairs officer between 2008 and 2017. Ms. Cecilia Sicupira is a director and partner with LTS investments. The company has also named Dr. Xiaozhi Liu, founder and CEO of ASL Automobile Science & Technology, to the board. Once approved by shareholders, she will officially fill the independent director seat previously held by Goudet. A-B InBev’s announcement comes one day after Boston Beer Company named Uber, Inc. general manager Meghan Joyce to its board. A press release with additional information is below. On Tuesday, 19 March 2019, Anheuser-Busch InBev (Euronext: ABI) (NYSE: BUD) (MEXBOL: ANB) (JSE: ANH) (“AB InBev” or the “Company”) is announcing changes to its Board of Directors, subject to approval at its annual ordinary and extraordinary shareholders’ meeting to be held on 24 April 2019 (the “Annual Shareholders’ Meeting”). Olivier Goudet, Alexandre Behring, Stéfan Descheemaeker and Carlos Alberto Sicupira will be leaving their positions as members of the Board of Directors, immediately after the Annual Shareholders’ Meeting. Mr. Goudet has served on our Board of Directors since April 2011 and has been its Chairperson since April 2015. Mr. Behring, Mr. Descheemaeker and Mr. Sicupira have served on our Board of Directors since 2014, 2008 and 2004, respectively. We want to warmly thank each of them for their remarkable commitment and valuable contributions to our company during their respective tenures and wish them great success in their future endeavors. To replace Mr. Goudet as Chairperson of our Board, we have approached Martin J. Barrington. He will be proposed as the unanimous choice of our Board of Directors, including independent directors, as our new Chairperson, effective as from the Annual Shareholders’ Meeting. Mr. Barrington knows our industry and our company well. He has been part of our Board of Directors since we completed our combination with SAB in October 2016. We believe that his experience as a former Chairman and CEO of a listed, broadly-held multinational company means that he brings strong qualifications to the role. He is an expert in governance, regulatory topics, and operational excellence, and left his previous role with a recognized track-record for shareholder value creation. Mr. Barrington has been fully retired from his previous role as Chairman and CEO for almost a year and has the time required as Chairperson of our Board to dedicate to AB InBev. 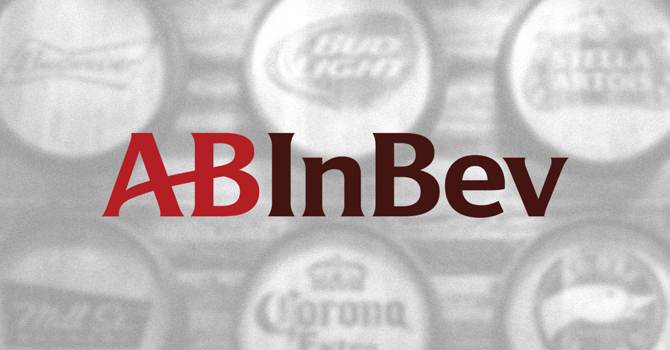 “I’m honored to be considered by the AB InBev Board of Directors as the company’s next Chairperson. I have thoroughly enjoyed the past two and a half years that I have spent on the Board of Directors and learned about the company. I believe that AB InBev is extremely well-positioned for continued growth and value creation, led by a best-in-class management team under the leadership of CEO Carlos Brito. I look forward to helping this great company write the next chapter in its exciting journey”, Mr. Barrington stated. Mr. Barrington’s appointment is subject to (i) the approval of changes to the Company’s bylaws (article 23) regarding the Chairperson of the Board, and (ii) his re-election as a Restricted Share Director at the Annual Shareholders’ Meeting. The proposed amendment would broaden the pool of eligible individuals and allow our Board of Directors to elect a Chairperson who is either an independent director or a representative of the Restricted Shareholders (e.g., Altria or Bevco). Altria and Bevco are not part of the same group as our controlling shareholders and do not share business interests with them, apart from their holding of AB InBev shares, and the proposed amendments do not allow the Chairperson of the Board to be a representative of our controlling shareholders. While Mr. Barrington is already considered an independent director under US law, he cannot be proposed as independent based on the current Belgian legal rules and our bylaws. We are confident that the proposed change will strengthen the representation of our minority shareholders. To fill the independent director seat left by Mr. Goudet, we are pleased to propose Dr. Xiaozhi Liu. To replace Mr. Behring, Mr. Descheemaeker and Mr. Sicupira, our controlling shareholders are pleased to announce that Mr. Claudio Garcia, Ms. Sabine Chalmers and Ms. Cecilia Sicupira, respectively, will be proposed as new directors at the upcoming Annual Shareholders’ Meeting (see biographies below). We believe that the proposed changes to our Board of Directors described above and the strong credentials and track record of the new appointees will bring new perspectives, which will be valuable for our journey to continue shaping the beer category as we remain focused on delivering sustainable top and bottom line growth.